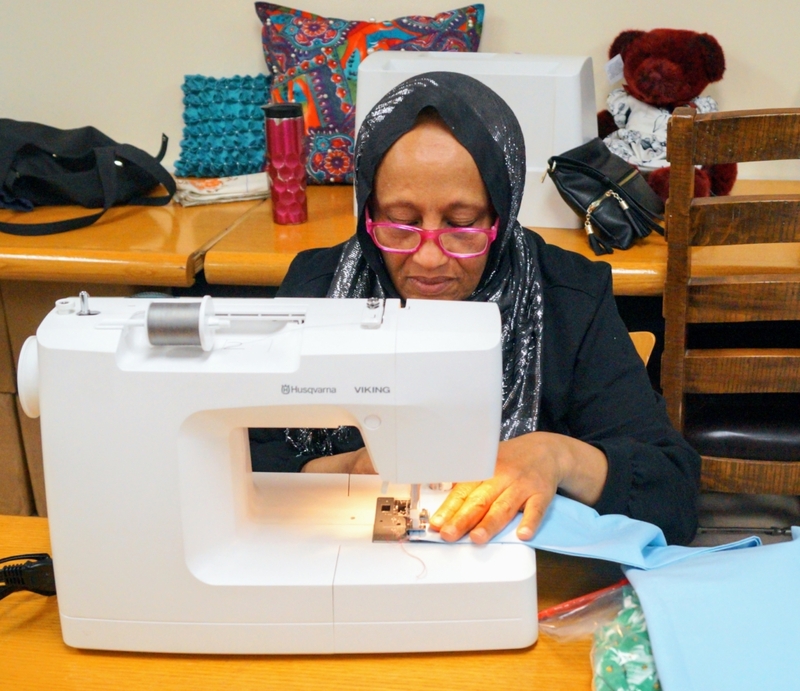 Sewing Seeds of Faith (SSOF) Sewing program serves refugee and immigrant women who are interested in learning a new skill. These women want to learn to sew for a multitude of reasons. Some want to learn for their own use. Some want to learn to seek employment elsewhere. Others want to learn a skill to get out of the house and find fellowship with a community of women. Refugee women are often at risk for depression and our fellowship encourages these women who are isolated to join with others and build relationships. SSOF serves our neighbors by offering skills for self-sufficiency, and encouraging self-worth. DOW staff listens and prays with our sewing women for all their needs and desires. Please contact the DOW Office at 214-369-1232 or email us.